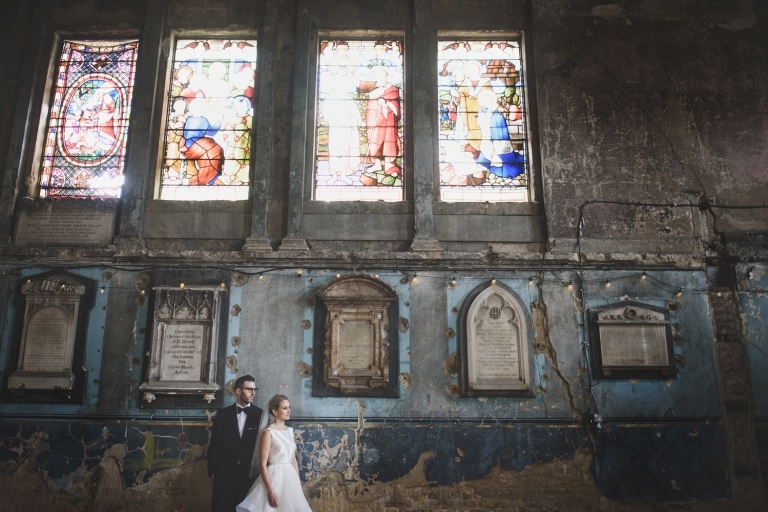 The Asylum in Peckham is a wedding venue that exudes cool. Not because it’s regularly used for fashion and music shoots and videos, or because it’s located in the middle of an iconic London housing estate. It’s because it has a rare atmosphere and quality of light that looks great at any time of year. It makes the perfect setting for an intimate wedding ceremony. 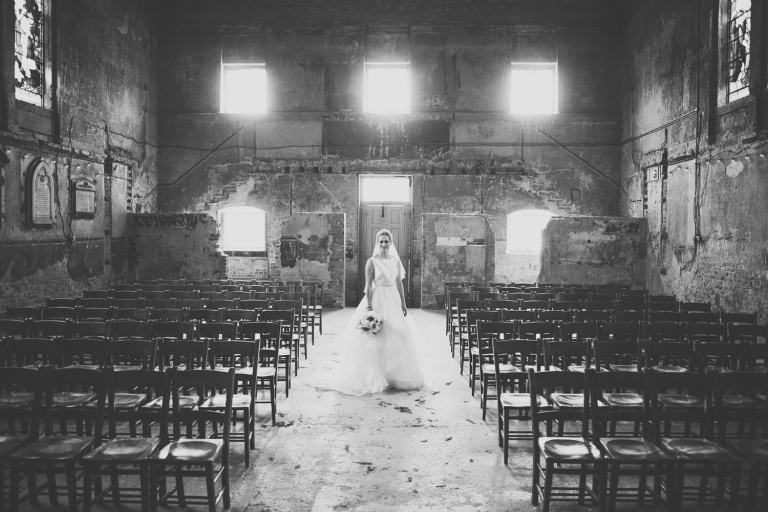 I’ve been lucky enough to be an Asylum wedding photographer on several occasions and it always produces evocative and atmospheric photographs, regardless of the time of day or year. 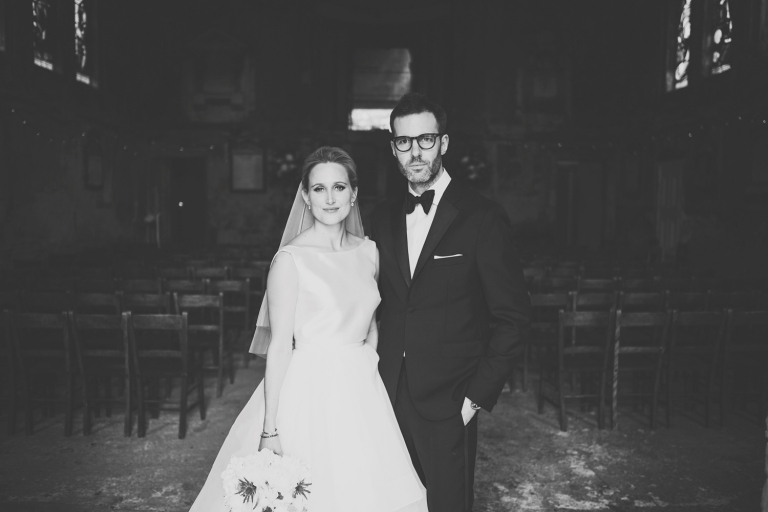 Take a look through some of my favourites as an Asylum wedding photographer below. 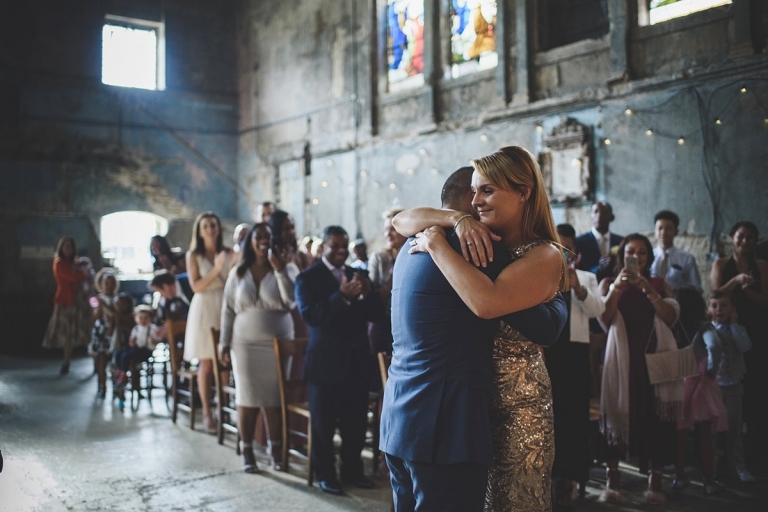 Also check out this blog post for the full story of Cat & Jeavon’s wedding at the Asylum and Trinity Buoy Wharf. Getting married at the Asylum? Drop me a line! If you’re getting married at the Asylum and would like to find out about my availability, drop me a line via my contact form. 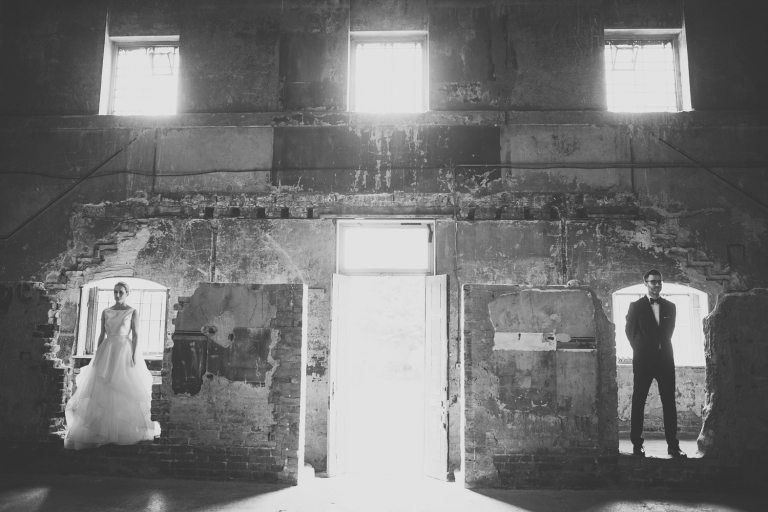 The story and history behind the Asylum is fascinating. It’s not as the name suggest a former lunatic asylum, but the word is used in its older meaning of sanctuary and the housing estate is in fact London’s largest collection of almshouses. It was originally known as the snappy ‘Licensed Victuallers’ Benevolent Institution’. In layman’s language it was a retirement home for retired pub landlords. Back in the nineteenth century landlords were clearly valued members of society as these almshouses prove! The chapel itself dates back to approximately 1827 and was the centre of the local community. It’s hard to imagine now as its densely populated neighbours of New Cross and Camberwell bear testament. Fast forward over 100 years and the chapel was badly damaged by a bomb in the war. Most of the interior was gutted but the beautiful stain glassed windows survived. They are still there in all their glory today and this is one of the most striking features! As the years passed the chapel was never fully renovated and the inhabitants of the housing estate were relocated. It has received funding more recently for repairs to the roof and the outside portico but it’s on the inside where this venue really shines. © 2019 Rik Pennington – London Wedding Photographer|ProPhoto6 Blog|Design by Northfolk & Co.